This site demonstrates simple clean design. The client has all the major functions of a top notch site without all the headache involved with a do it yourself option. Custom control panel for adding photos, projects, testimonials, and about us. This SEO for this website has been amazing. Before we took over the site they we not even placing on Google or other search engines. 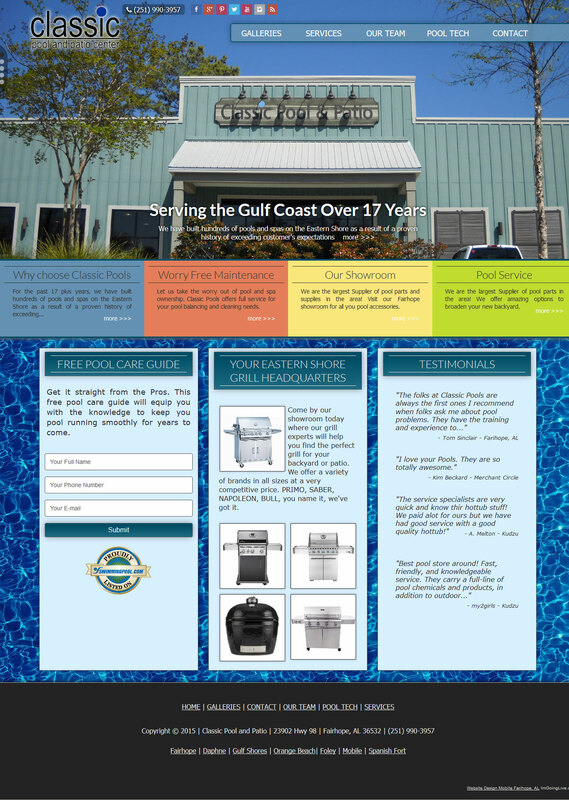 Shortly after launching their web site they went to #1 for the search terms "Swimming Pools Baldwin County" and "Swimming Pools Spanish Fort"
Get a free and instant scan across over 50 social networks and see where your business is listed.